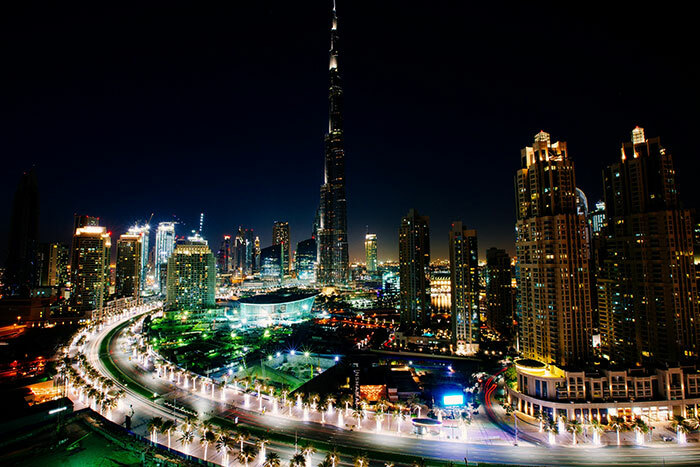 A pioneering conference coming to Dubai this March will explore how smart lighting solutions - driven by the emergence of the Internet of Things (IoT) in the lighting sector - are on the way to the UAE as the country pursues its aim of developing smart cities. The one-day conference focusing on IoT lighting – the first of its kind in the region – will be part of the expansive knowledge programme of Middle East Electricity, the world’s largest annual power industry trade platform. The conference will debut on the show’s first day – Tuesday, March 5th – at Dubai World Trade Centre (DWTC) with experts from the Middle East, South America, Europe, India and the USA probing the advances possible from leveraging IoT within the lighting sector and its ability to transform lifestyles. Smart street lights, adds Fennelly, will be perfect bases to collect vital data about urban traffic, pollution, weather conditions and people flow. Looking further ahead, advanced IoT technologies could see future pedestrians generate power by walking on pressure-sensor footpaths and even the introduction of navigational headsets which will allow the visually impaired to use sensors in lamp-posts to help them ‘hear’ their surroundings as a 3D soundscape. “The introduction of smart and intelligent lighting systems and future technology goes far beyond the possibility of powering street lighting with renewable energy. Through integrated IoT platforms and the use of Big Data, authorities can mine invaluable data which will assist in reducing the city’s carbon footprint, maintenance costs, energy consumption and providing a more sustainable city. Smart street lighting areas can also be used to recharge electric vehicles, offer hotspots for WiFi connections, charge hubs for the public within walkable areas, or provide elements of smart way-finding by pushing notifications to phone applications which improve the public’s lifestyles and provide easier access to services,” said Fennelly. Conference delegates will also hear of the challenges faced, lessons learned and technical responses to a project in Buenos Aires, which deployed over 150,000 LED luminaires with Smart control to drastically raise the uptime of its public lighting infrastructure while lowering the maintenance and electricity costs. The project, says speaker Pablo Servent, the CEO of Argentina’s Smartmation, signals the arrival of Smart City lighting as the new norm. “There is general awareness that making an efficient use of energy is mandatory to protect the environment. Taking into account that public street lighting is a substantial part of the electricity expenditure of cities, we believe that the adoption of smart street lighting, and other eco-friendly systems will become a standard,” explained Servent. The Tungsram-sponsored conference comes as lighting systems, both interior and exterior, emerge as key IoT infrastructure with LEDs becoming equipped with data-collecting sensors. The conference opens with a talk on how IoT lighting will help establish the UAE as a global smart city, by creating an ITS highway via lighting systems. Necessary legal frameworks for data sharing will also be discussed. These plans will be outlined by Eng. Ammar Majed Safi, the Senior Electrical & Development Engineer & Innovation Team Member at the UAE Ministry of Infrastructure Development. In addition, a panel of experts will explore strategies for planning, launching and maintaining a public space IoT lighting system and endeavor to pinpoint where the best initial applications for the Middle East would be, including lighting as a platform for wireless connectivity (LiFi). Conference experts include: Dr. Ernesto Damiani, Professor of Electrical & Computer Engineering & EBTIC, Khalifa University; Dr. Michael Rahaim, Principal Investigator, Ubiquitous Communications & Networking Lab, University of Massachusetts, Boston; Katarina Uherova Hasbani, Founder of the start-up mentoring group EnRupt; Yenal Gul, Head of DLS, Osram Middle East; Sree Peddinti, Vice President – India & Middle East, of Siemens’ Enlighted and Sergio Padula, Technical Director, Iguzzini. The IoT Lighting event is one of four new CPD-accredited conferences in Middle East Electricity’s powerful knowledge programme with offers up to 94 hours of free educational events. The other three conferences focus on: Revolutionising Power Generation: O&M; Intersolar and Electricity Energy Storage. “The accreditation underlines the ability of the show’s knowledge programme to enable delegates to make connections with the industry leaders who are now transforming the way we live,” added Konieczna. Lighting is one of five focused sectors of Middle East Electricity with the remaining four covering power generation; transmission and distribution; solar and energy storage and management. Middle East Electricity, which is now in its 44th year, will run at the DWTC from March 5-7 when over 60,000 industry professionals are expected to visit the 1,600 leading manufacturers and suppliers who will pack the event which is held under the patronage of HH Sheikh Maktoum Bin Mohammed Bin Rashid Al Maktoum, Dubai Deputy Ruler and is hosted by the UAE Ministry of Energy.